The pre-clinic laboratory of the UMKC School of Dentistry looks very similar to the way it did when the School opened its doors at the current location. Yet, to remain competitive modern approach is required. The simulation units simulate patient care. 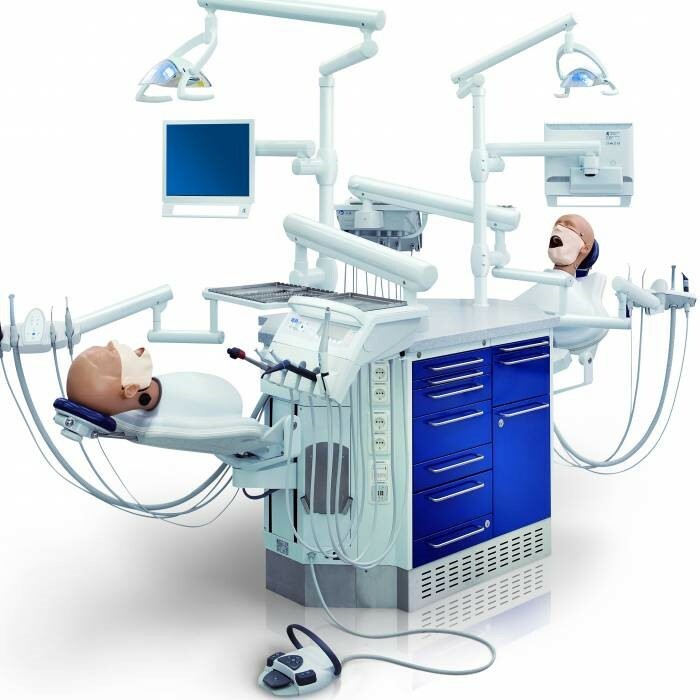 Essential features of these new units include a torso form ergonomically positioned for student operation, well positioned air/water syringes, suction, and hand-piece brackets that are positioned as in a functioning dental operatory. Students learn proper positioning essential for proper body alignment. The units provide an authentic learning environment where students operate in an environment closely aligned with the reality of dental practice and has become the new standard for pre-clinic laboratories in dental education. The UMKC School of Dentistry continues to take steps to ensure the quality of educational resources provided for student learning for generations of practitioners who will serve the citizens of Missouri and Kansas. Your assistance and partnership to make this upgrade to our facility a reality will significantly make a positive impact on our student experience.